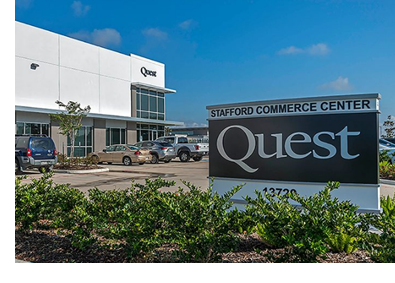 ​​ STAFFORD – Boston-based Stag Industrial has acquired the Class A Stafford Commerce Center, a fully leased 68,000-sf distribution warehouse, from Black Flag Properties. Quest Design and Fabrication leases the property. The facility features 24-foot clear heights, a 130-foot truck court, 8,548 sf of office space, and 14 dock-high loading doors. It's located at 13720 Stafford Rd.